Use checks and balances when you manually enter your fees into your property management software. If you don’t have a system in place for ensuring you entered everything correctly small mistakes could be leaving big money on the table. One of the most valuable moves you can make when running a property management service company is investing in cloud-based automation software. Automation software allows you to upload pertinent data and match payments with invoices. You can perform two- and three-way matching to ensure all payments are correlating with the proper invoice. In doing this, you can pinpoint which invoices are past due. Even better, you can use the software to manage invoices due to you and invoices you owe to someone else. The software provides a clear picture of income coming in and cash going out. Keep in mind not everything to do with property management is about receiving payments from your clients. You're going to have several expenditures that you owe for, too. Property management software gives you the chance to see which invoices come with early payment discounts. You can use payment prioritization to pay those invoices early and receive a discount, which puts more money in your pocket and leaves less money left out on the table. You'll also find cloud-based software beneficial because it enhances data security. A traditional software program isn't going to receive updates unless you manually apply them. The cloud-based software automatically updates itself when its developers create new updates. Some property management software programs come with optical character recognition (OCR) scanning capabilities. This means when you scan paperwork from a client, the OCR technology automatically routes and organizes the data in the most appropriate manner according to intuitive intelligence capabilities. Imagine not having to sort through stacks of paperwork to locate an invoice and being able to direct your clients to an online portal that allows them to pay settle invoices using ACH, PayPal, e-checks, and more. All of this increases productivity and allows you to focus on core tasks that aren’t accounts payable and receivable related. You charge fees for a reason, don’t waive them because of pressure from potential tenants. Instead, present value to your tenants. Use your UVP, or unique value proposition when discussing fees, so tenants see why you’re charging them. An excellent way to showcase your UVP is by creating a document that specifically outlines what you offer that other property management service providers do not. For example, 24-hour service, optional add-on services, and payment collection services are all features that some property management companies don’t provide. If you provide an online portal where tenants can make their monthly payments, this is an excellent UVP to present to potential and existing clients when they try to get you to waive a fee. When you refuse to waive fees, you keep more money in your pocket and less money on the table. Ancillary service providers can be your partners in more than their services; they can provide you with referrals. If you run a great operation, they will be able to spread the word on your behalf. 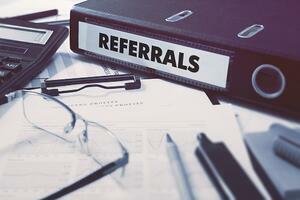 There are a ton of organizations and companies that you can partner with to obtain referrals. One of the best ways to approach these organizations is by providing something of value in exchange. Contact a company that you believe has access to your target audience and make a deal that for every referral they send your way that signs a contract or obtains services from you, that you will give them five percent of the total transaction. There’s no reason a company wouldn’t want to take advantage of this type of deal. If you charge late fees, don’t waive them. All fees and fines that enforce policies should always be strictly held for every tenant, no exceptions. Waive one late fee, and you could end up with a cascade of late rent payments. These fees are a deterrent, so be sure to use them as such. Your cost of goods sold (COGS) is how much it costs to provide your services. To increase profits, you reduce your COGS. 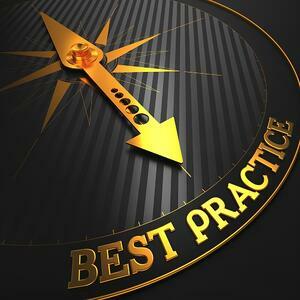 Use technology and service providers when they can help you reduce your COGS. Decreasing your COGS is another area of operation where automated software will prove beneficial. For example, Rently can save you time and commissions through their self-showing solution. By having all of your data stored in a single software application, this reduces the amount of time it takes you to locate pertinent information. It also gives you access to all data while you’re on the go as long as you have an internet connection and the information is stored in a cloud-based software application. Think about being able to log in and update a service order as soon as you finish a job. This significantly decreases post-job activities and allows you to transition to the next task in a seamless and efficient manner. A software program also makes it easier to collaborate with your team members. Gone are the days of having to host a weekly meeting to keep everyone on the same page. Instead, with a software program, your entire team can collaborate in real-time with one another around the clock. This also helps everyone have a clear picture of all operational activities, which reduces costly errors, like two workers showing up to a property to perform the same job. Think about it. With access to real-time information, your workers can log in and see which jobs need to be completed as well as access geo information to help them determine which property is closest to them. Stopping by a property to perform a quick fix on the way to the next job is an excellent way to save time and slash your COGS using operational automation software. Inbound marketing is a smarter marketing spend for 2018. Traditional marketing means high spending on paid ads and other interruption based tactics, but that is not what consumers appreciate. Using inbound will bring customers to your business when they are ready, which converts better into sales with less time and money spent. These six ways to not leave money on the table will help you tighten up your financial operations. 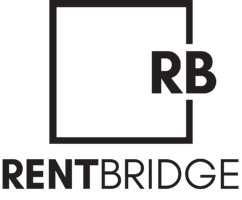 Rent Bridge works with both startup and existing property management companies to create a game plan to help you improve your marketing and operations.